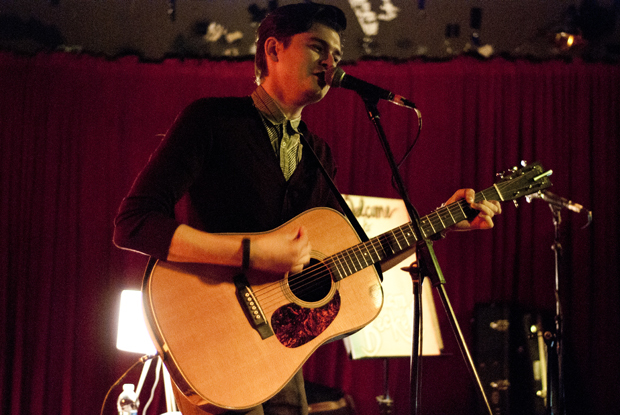 William Beckett (ex-The Academy Is…) recently did a session with Daytrotter and it is now live on their website. Three of the four songs come off his Walk The Talk EP. William has been on the road for the past month touring in the US on his Walk The Talk tour, Japan with Mayday Parade and There For Tomorrow, and is now in Singapore and Malaysia. Starting in July he will be on tour with Relient K and Hellogoodbye. The track listing and artwork for the session can be seen after the jump.